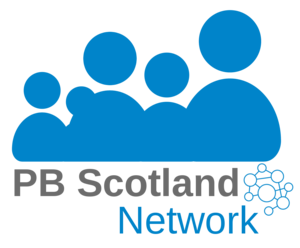 At the National Participatory Budgeting (PB) Scotland Conference in November 2017, participants recommended developing a PB Charter for Scotland. As we move to towards increasing numbers of people being involved in the small grants models for PB, and the introduction of the potentially more far-reaching mainstreaming models, we need to define what we mean by PB. We hope a PB Charter will set out clear principles which can be used by strategic managers, those involved in planning PB and by people attending PB events or voting online to ensure that positive outcomes are achieved, and that good quality democratic participation is promoted in every community. The Charter is a formal statement of values & principles which will ensure good quality PB in Scotland. We’d like to hear your thoughts on the underlying principles for the Charter and to give you the opportunity to contribute to the draft text. The current draft principles are based on discussions which took place at the Glasgow and Dundee Charter workshops and 2 webinars in August 2018. Please follow the link below to review and contribute to the 7 principles for the draft PB Charter. If you have any questions about the Charter or the survey, please contact Paul Nelis: e: paul.nelis@scdc.org.uk or t: 0141 248 1924.